OUR 2017 NCAA BRACKET WINNERS! 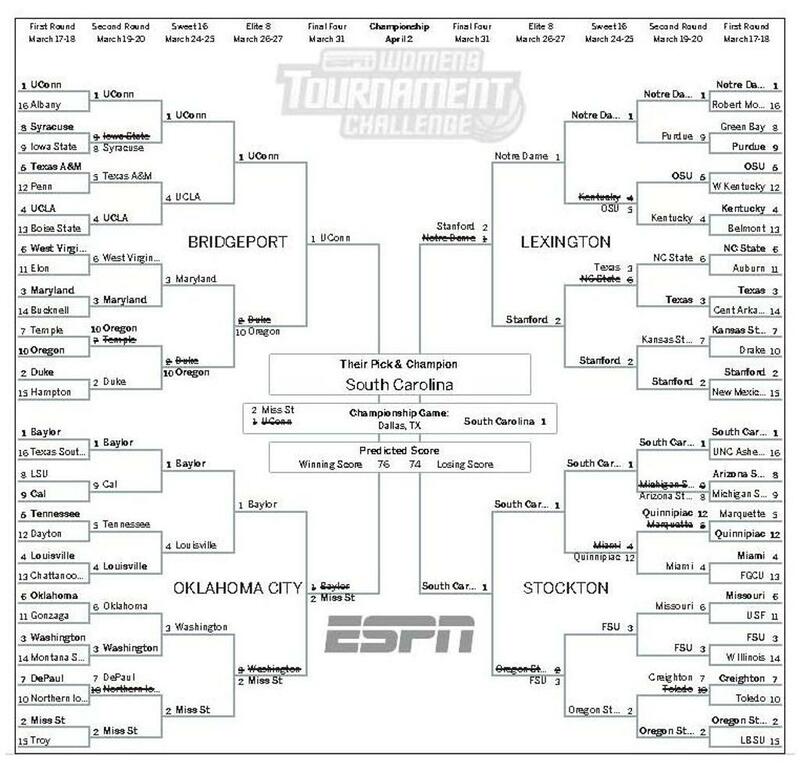 Congratulations to the Wolford Family for picking South Carolina to win the tournament, resulting in their winning of the Women's NCAA Bracket Challenge this year! Their family has won a FREE camp this summer of their choosing! 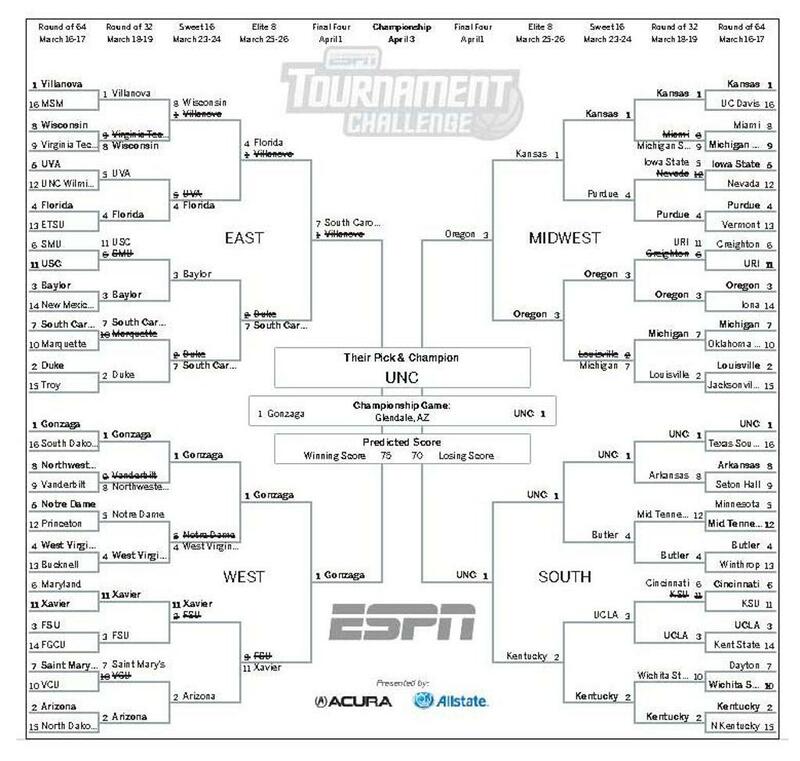 For the Men's NCAA Bracket Challenge, the final rankings was extremely close. The winning family, however, has anonymously donated their free camp to the VABA scholarship fund for this summer. We are so very thankful for the kind hearts of all of the families involved with VABA. This demonstrates the VABA mission of "building character and shaping lives through the game of basketball." There is 42 days left until our first summer camp, and we couldn't be more excited. See the complete list and schedule of VABA's 2017 Summer Camps & Academies for more details and descriptions. ©2019 Virginia Basketball Academy, a 501(c)(3) non-profit organization / SportsEngine. All Rights Reserved.